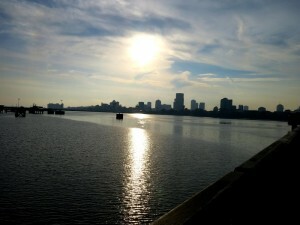 Woodlands Waterfront Park | JustRunLah! A scenic and tranquil coastal park offering an exceptional view of the sea from the north. Woodlands Waterfront Park is a scenic coastal park located in the Northernwest part of Singapore. Once a disused warehouse area, this place was redeveloped and transformed by Urban Redevelopment Authority (URA) into an exciting new playground for residents living in the North (mostly residents from Yishun, Admiralty, Marsiling and Woodlands). The 11-hectare park houses a large playground with a wide range of equipment and a 1.5-kilometre-long waterfront promenade, making it an ideal spot for recreational activities. 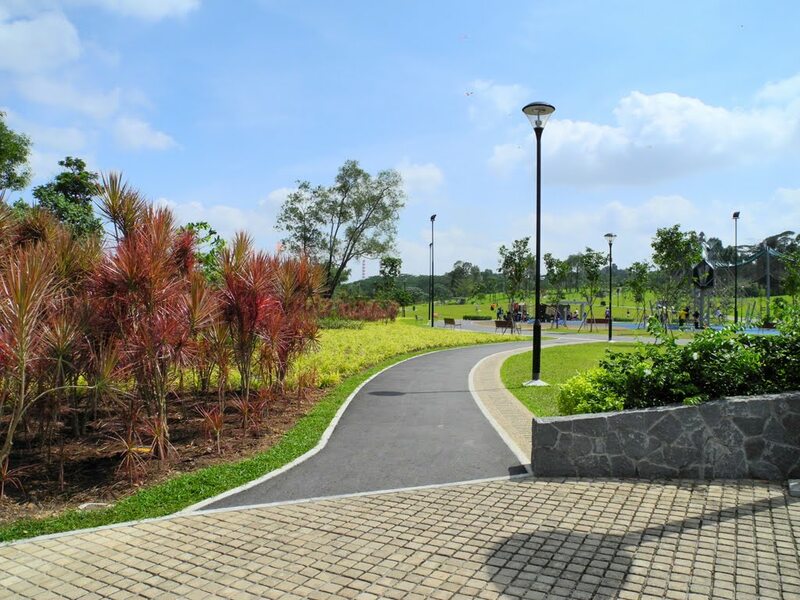 Visitors can enjoy an unobstructed and panoramic view of the entire coastal park and the Straits of Johor from high vantage points and rest shelters placed along the scenic trail. 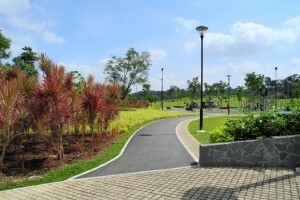 The undulating terrain of the park is also fitted with dedicated jogging and cycling tracks, providing exercise enthusiasts with both adventurous and challenging trails. Woodlands Waterfront forms part of the comprehensive network of parks and park connectors in the area, improving accessibility to the waterfront. It is also linked to the existing Admiralty Park via the 25 km Northern Explorer Loop.